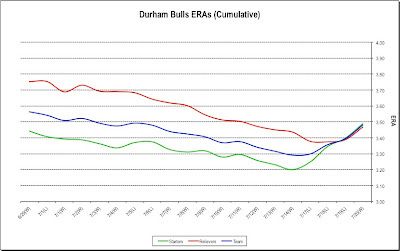 As this is being written, if Twitter is to be believed, the Bulls are heading down I-85 to the Atlanta suburbs. Probably last night’s affair is fading. Nevertheless, it was a game of superlatives. Well, maybe “superlatives” isn’t quite the right word, but it will have to do. In the end, it was sort of the opposite of a pitchers’ duel for both teams. 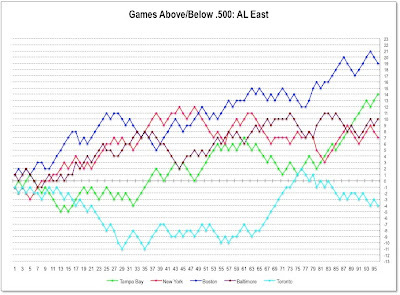 In fact, the last three games of this series was essentially boomin’ and losin’ (or winnin', depended on which side you were on). The hero last night? Undoubtedly Mike Fontenot who made a hot grounder look easy and drove a stake through the heart(s) of the Pawsox, who would not stay dead in this game. They just kept climbing out of their coffins, even in the top of the 9th when they had runners on second and third and could go ahead in the game if the grounder had gotten past Fontenot. But the grounder didn’t and the Bulls prevailed at last. 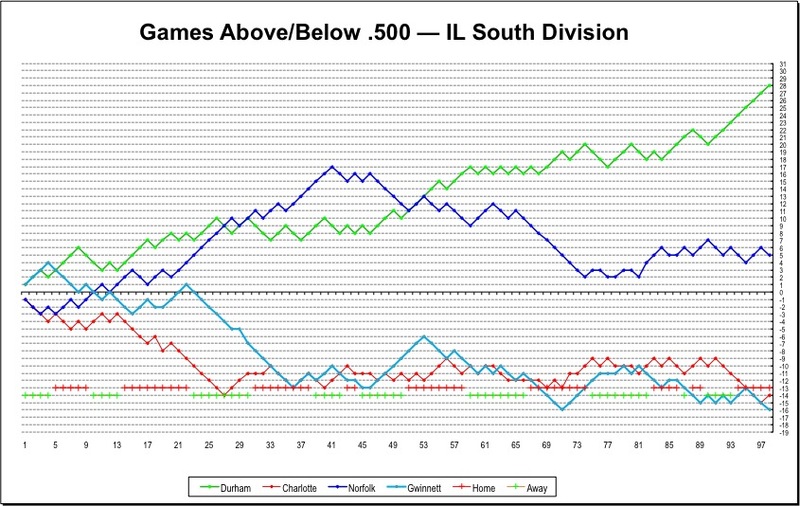 The Herald-Sun and the wrap lays some of it out, so let’s do our WDBB thing and draw a couple of pictures to show just how odd these last four games have been. First of all, the pitching. 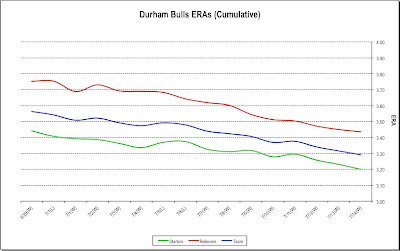 Just a couple of days ago the cumulative ERAs of Bulls pitching was on a nice downward slope. Now look at the last four games. 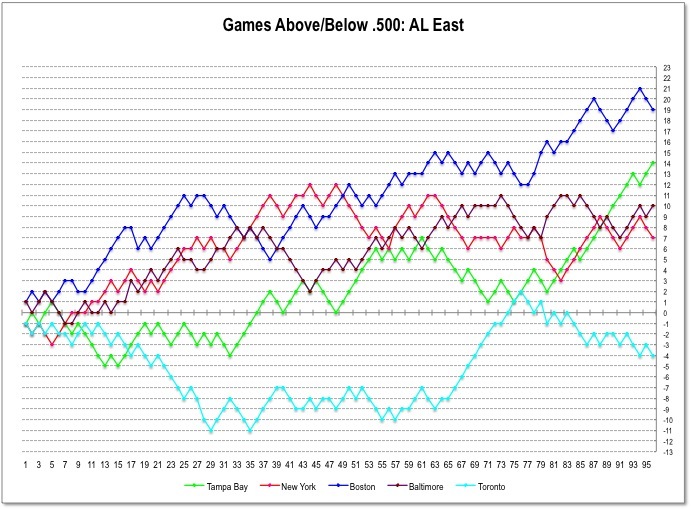 Remember that these are cumulative ERA, so it takes a lot to push them up or down. And note that it isn’t just the starters, everyone was pushing that ERA up. 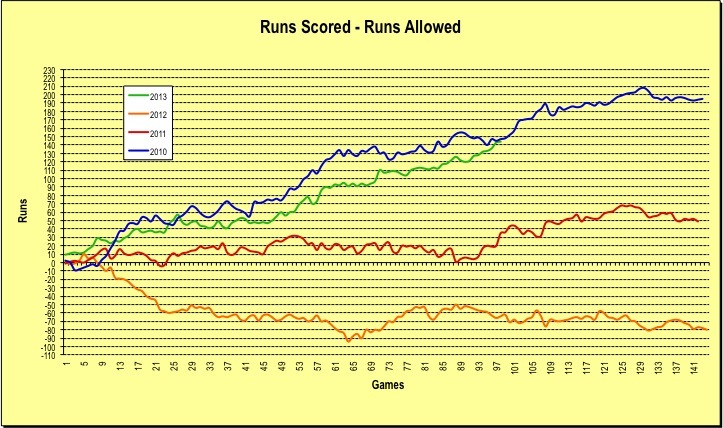 Another way to look at those number is game-by-game and there the last four games are even more startling. 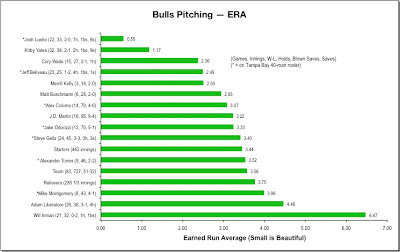 Lastly, if the importance of pitching ever needed emphasis, look at this one. 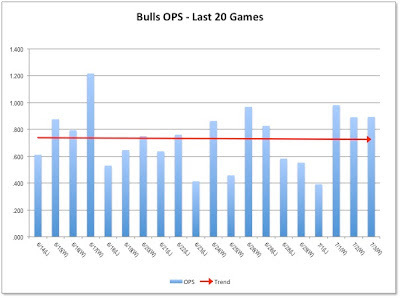 The Bulls bats have been booming, but, except for last night, it wasn’t enough. The Pawtucket Red Sox are the Triple-A affiliate of the Boston Red Sox and they are having a good year, much like their parent club. 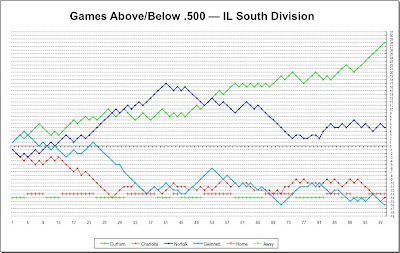 They are leading in the very competitive North Division, but they had a 1-9 stretch going into the break. 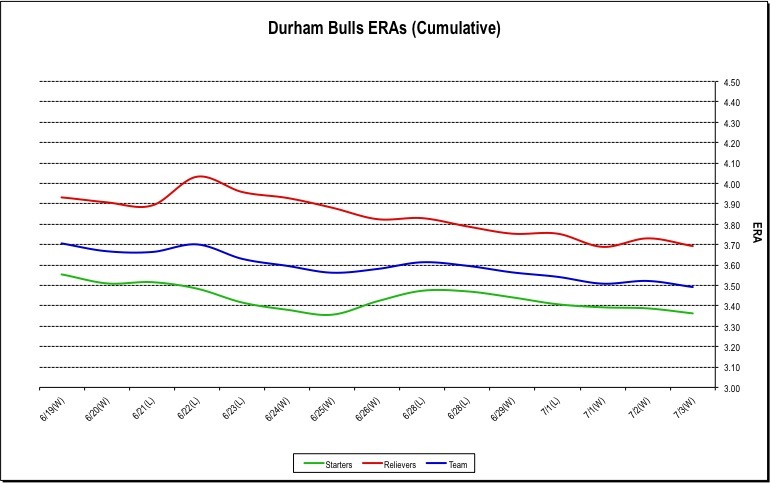 The Bulls played four games against them in Pawtucket back in early May and split the series 2-2. One of the wins was a combined no-hitter led by Jake Odorizzi, who will likely be on the mound this series. 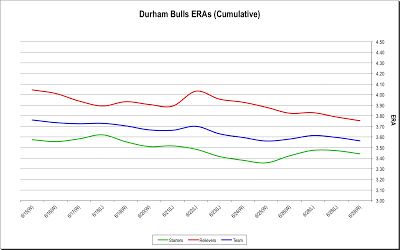 A little bit of early season history for folks just checking in with the Bulls: Three key Tampa Bay Ray pitchers have had various kind of trouble this year, David Price, Brandon Gomes, and Alex Cobb. In their stead, several guys who started with Durham have been with the Rays during the season, Chris Archer, Alex Torres, and Alex Colome among them. David Price is back in the lineup. Alex Colome came back to Durham and went on the DL. Some folks are starting speculate about Archer and Torres, both of whom have been doing very well. 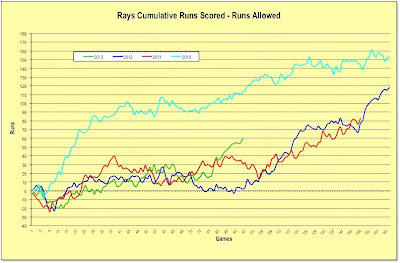 Examples of the commentary are at Rays Index and at Rays Colored Glasses. 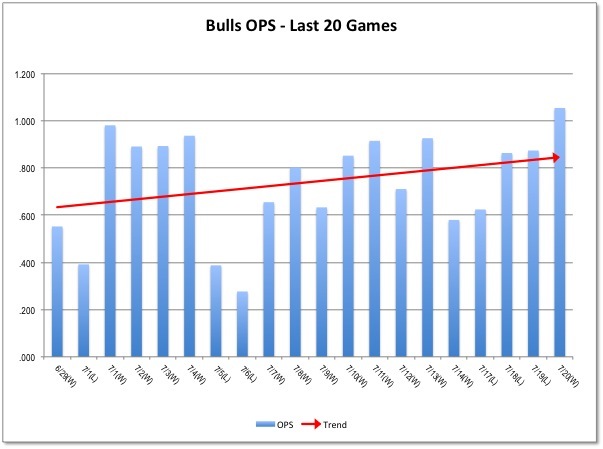 What does it mean to the Bulls? Not sure. 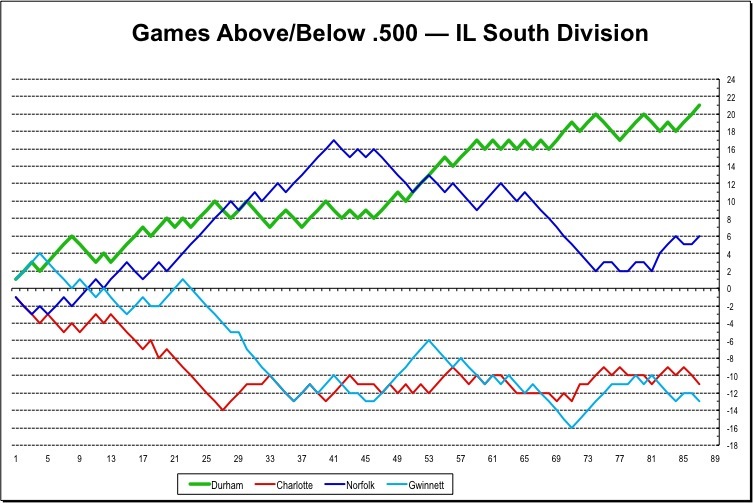 But bullpen turmoil is likely in a couple of weeks. C.J. Riefenhauser got a few more comments regarding his appearance in the Futures game. The International League won the Triple A All-Star game 4-3. Wrap. Box. The Bulls’ Vince Belnome started at 3B and went 1 for 3. J.D. Martin pitched a scoreless 2nd inning. Kirby Yates pitched a scoreless 8th inning. The N&O has a nice feature on the Bulls today. If you’ve been following the saga of Duece, the missing border collie who got spooked by last weekend’s fireworks, he’s been found and is back. Lastly, a little bit of weirdness, and a test of your Korean language skills. Just watch. Then wait for the reruns for a couple of different angles. And you might have to click through to Youtube. Even if it feels like mid-season, it isn’t. The middle of the Bulls’ season occurred back on June 18, almost a month ago. 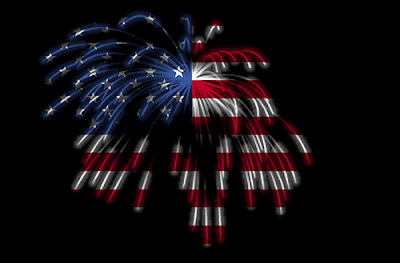 Nevertheless, these next couple of days are the only really free days the players will have till the end, so let’s hope they enjoy them. Three Bulls will be heading to Reno, Nevada for the Triple-A All-Star game, J.D. Martin, Vince Belnome, and Kirby Yates. 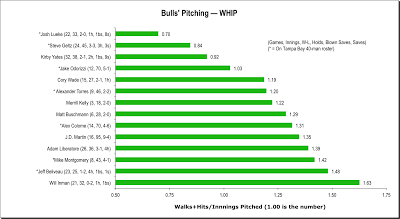 A fourth Bull, Reliever C.J. Riefenhauser, gets his time off after pitching in the All-Star Futures game last night (one inning, did not allow a runner on base). 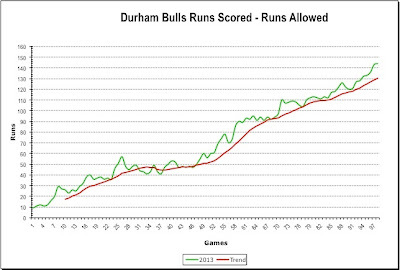 The Bulls go into the break looking very good. 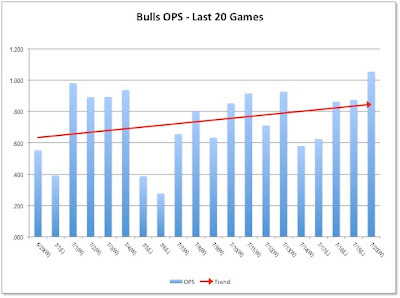 We’ll do some statistical stuff over the next couple of days, but this 8-game winning run pretty much establishes the Bulls as the best team in the International League. 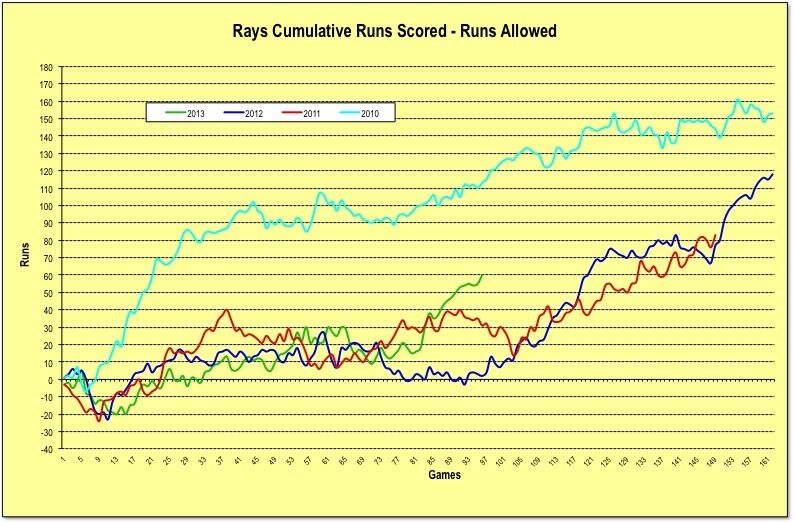 Leslie Anderson, who has been knocking on the Rays’ door for a long time now, kept it up last night. He started in left field. Anderson got on base with a single in the 2nd, and scored on Evan Frey’s sacrifice fly. In the 6th he put one into the Diamond View stands. If there’s a worry about Anderson these days, it’s that he seems to be really straining to get up to speed on the base paths. J.D. Martin got his 11th win, the best in the International league. 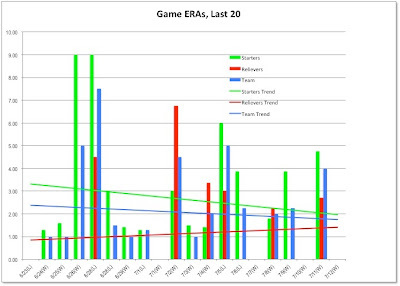 He’s tied for the most starts (19), 3rd in innings pitched, and 6th in ERA. He’s having a great year and is expected to put in an inning out in Reno against the Pacific Coast League. After the 7th inning, we went up to catch a late meal at the Tobacco Road restaurant and watched the last couple of innings there. Josh Lueke added thrills to the end of the game as he had a lot of trouble finding the plate (although I think he did hit the plate with the bouncer that let a run in). 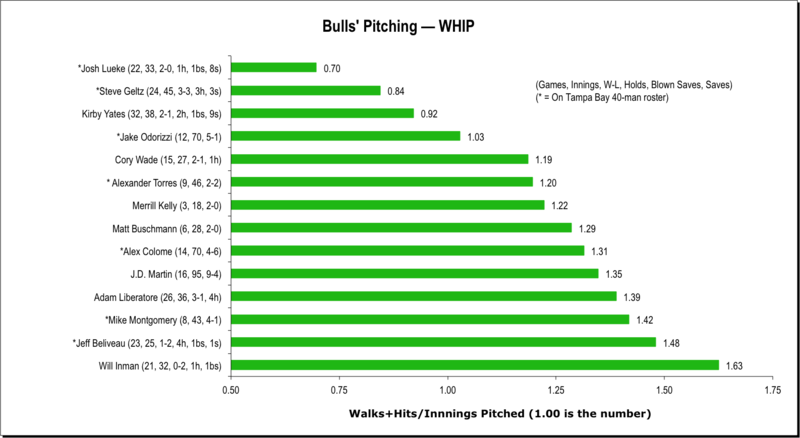 He got a save, but his ERA ballooned up from 0.45 to 0.66 and his WHIP went from 0.81 to 0.84. 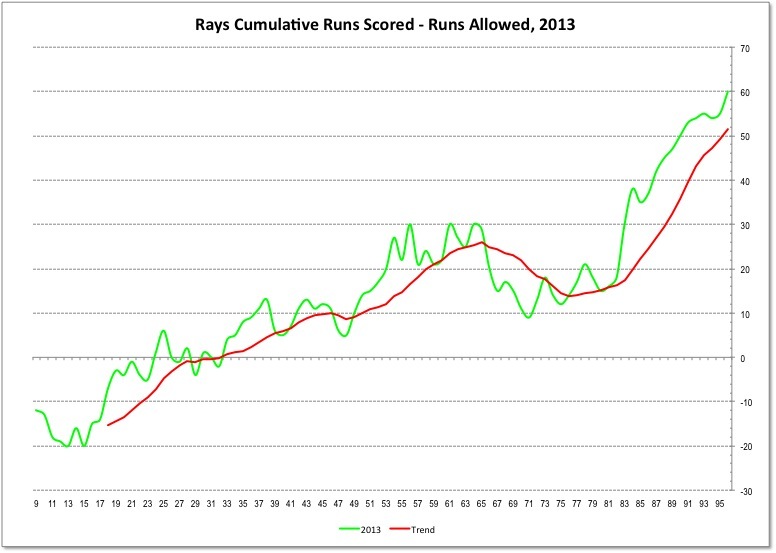 Not sure when the Rays are going to call him up and keep him up, but surely before the end of the season. In the meantime let's enjoy his work … even if it does mean a couple of thrills and exceptional patience between pitches. More on C.J. 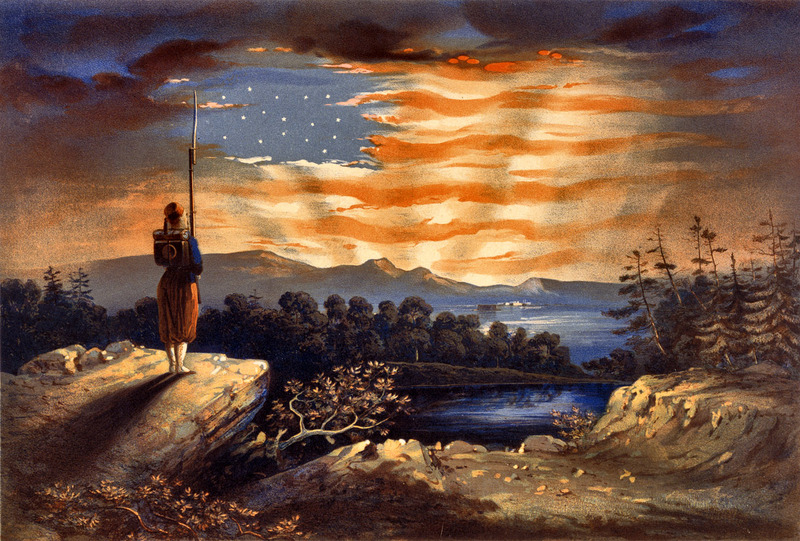 Riefenhauser’s night in New York here. Too bad he couldn’t wear his Bulls hat. Merrill Kelly and Josh Lueke combined to shut out the Braves and the Bulls finally scored a run after being blanked for 18 innings. Oddly enough, they got that run without getting a hit..
Looks like Mr. Kelly is the real thing. 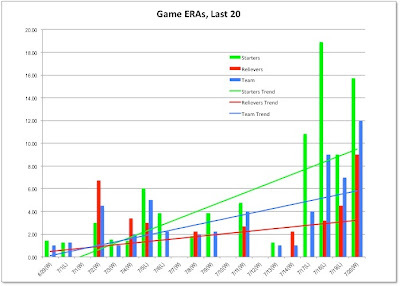 Three wins in five starts; an ERA of 2.03 over 31 innings; a WHIP of 1.13. A very nice addition to the rotation. About that run: The Bulls loaded the bases after Cole Figueroa flied out to begin the 8th. Tim Beckham was hit by a pitch, then stole 2B. Vince Belnome was given an intentional walk, but Ryan Roberts got a walk to load the bases. A pitching change didn't help because Leslie Anderson hit a sac fly to center that scored Beckham for the first Bulls run since the 7th inning against the Tides last Friday. But it was enough for Bulls' to get a split in their first visit to Georgia. Now they are off to Charlotte. C.J. Riefenhauser will be joining Charlie Montoyo and Neil Allen at this year’s All-Star Futures game. Congratulations! Three years ago Dan Johnson hit his 23rd home run and 77th RBI. 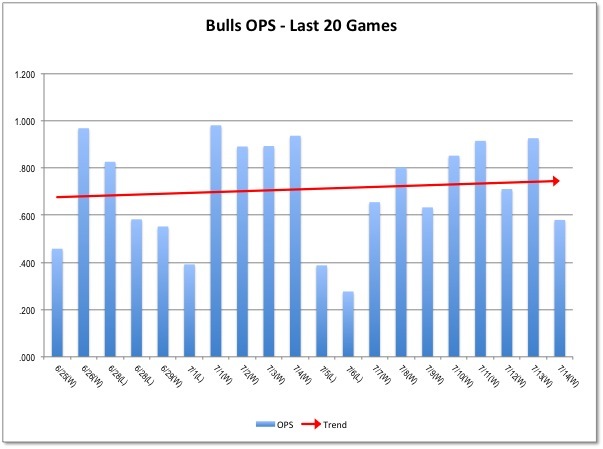 The Bulls were only 86 games into the season. This year the best power hitting Bull has 11 home runs (Anderson) and most productive Bull has 50 RBI (Belnome). Wil Myers led in both categories before he left, 14 and 57. 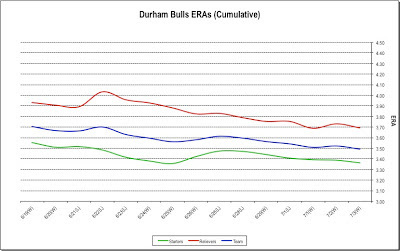 That may help explain why Bulls fans remember Johnson so fondly. Brandon Guyer leads the Bulls in HBP with 12, but consider Shin-Soo Choo of the Reds with 20. The Bulls match up well against this year’s Knights. 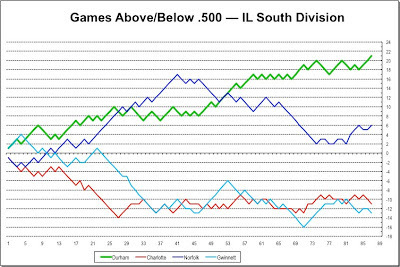 The mismatch between their actual win-loss 41-50 and their Pythagorean Expectation of 43-48 implies a weakness in their relief corps. The Durham Bulls' All-Stars had an all-star night in front of an all-star crowd, the largest ever to see a Bulls game (11,754). J.D. Martin got his 10th win, Kirby Yates got his 10th save, and Vince Belnome was 1 for 2 with two BBs, an RBI, and scored a run. Plus it seemed like every inning started with a play at first base. Martin looked particularly strong, giving up his usual solo home run, but mostly the bases were clear. There was one stretch of 12 hitters who didn’t make it to base. Nobody was giving up freebies last night. 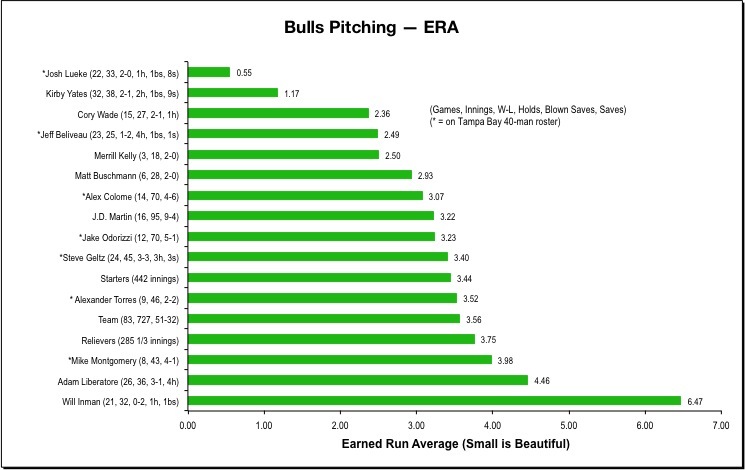 Bulls pitching did not award a single base on balls and didn’t hit a batter. That’s exactly the kind of pitching we like to see. Crowd was thrilled to see Kirby Yates close it all out with a K. Great night at the park. Even with Evan Frey added to the roster, the Bulls still had absolutely no depth on the bench last night. Leslie Anderson is day-to-day after getting hit in the knee by a pitch in Charlotte Wednesday night. Ryan Roberts is here (but without his gear which was misplaced by the airline). Jason Bougeois is at 65% (according to Kinas). That’s all there is folks. 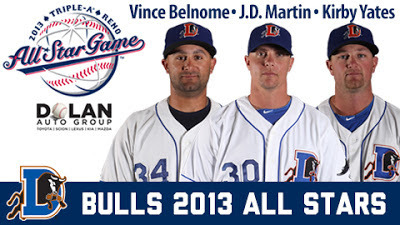 Very well-done profile of Durham Bulls star Vince Belnome in today’s News & Observer. Worth a look. Last year the Bulls were also in town playing the Tides. A big crowd (11,117) watched the Bulls beat these Norfolk Tides 8-2, but Bulls were 4 games below .500 (they are 22 games above .500 today). Leslie Anderson, Tim Beckham, and Chris Gimenez are the only players from this year’s team who were in the game. With the sight of the tarp on the field at 3 in the afternoon, might as well take a look at last night and at all the changes in the Bulls roster. Have to mention, however, that it could be Daisuke Matsuzaka pitching for the Clippers tonight against one of the Bulls new guys, Merrill Kelly. 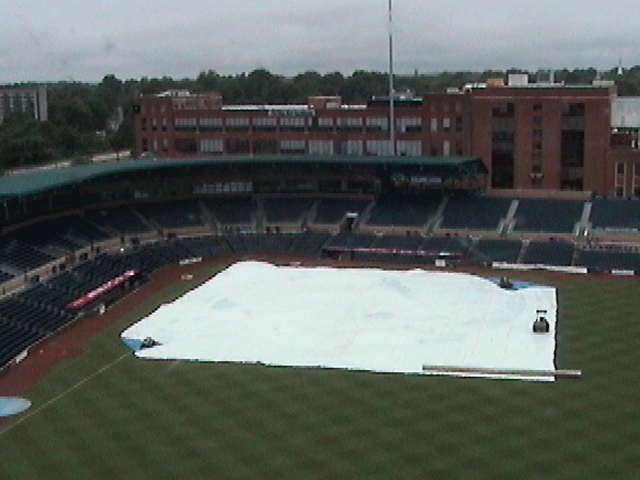 Last time we saw Matuzaka in the DBAP he was on a rehab appearance pitching for the Pawtucket Red Sox, and the Bulls had Hideki Matsui here making a comeback run. Mike Montgomery got in a “complete” game in his seven innings last night, but none of the Bulls were able to figure out the Clippers’ Danny Salazar. 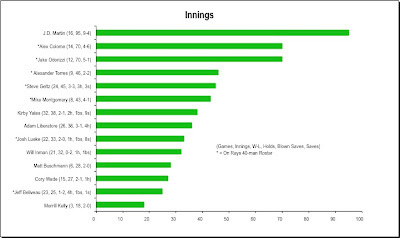 Salazar went 6⅓ innings before he faced any more than the minimum number of hitters. Good pitching and good defense (2 double plays, two very nice throws from the outfield cutting off advancing runners) helped. 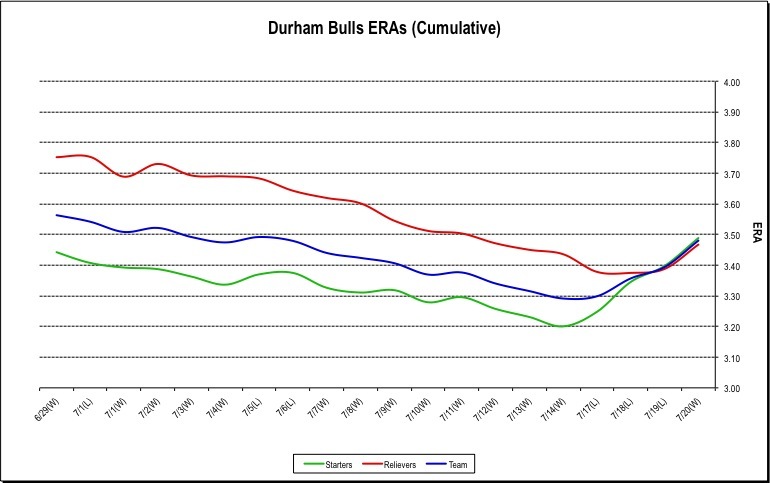 In the second game, the Bulls going (yet again) with a committee of pitchers, went much better. Pitching was solid with the crew getting a rare shutout. 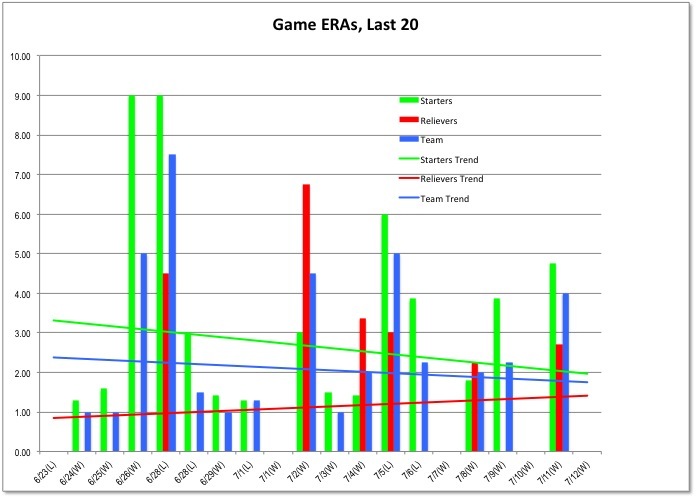 Only 4 so far this year, the last back on April 29, but only 7 innings. Shelley Duncan had a particularly impressive night, 2 for 3 and the only RBI in the first game and 3 for 3 with a RBI in the second game. Left field seems to agree with him. Alex Colome is back, but it appears the Rays broke him and he may be headed for the DL. 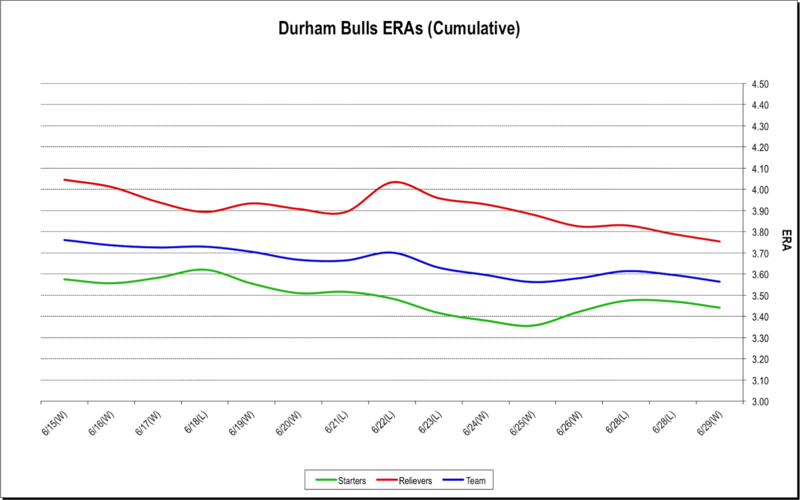 We have to mention the rare instance of WDBB being more or less right about something when, right after we published our analysis of Bulls pitching, Will Inman was released. That helps make sense of the addition of RHP Ramon S. Ramirez to the team. The 31 year-old Ramirez certainly brings a lot of experience to the Bulls, but not quite sure what else. Stats. 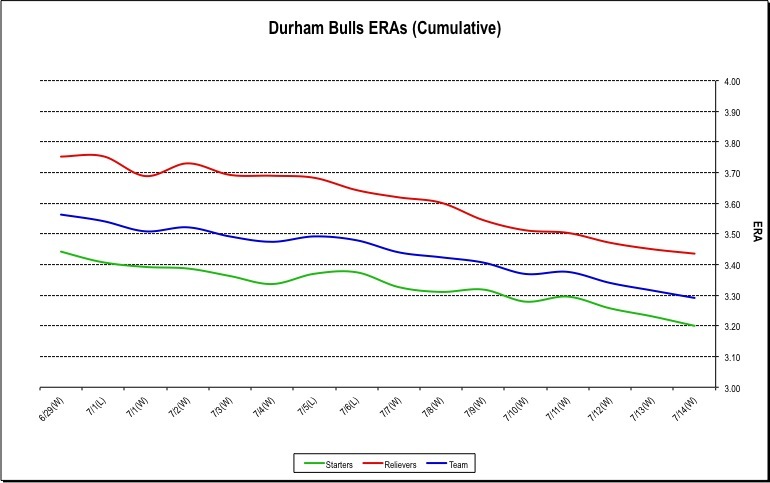 Similarly, the Bulls desperately need an outfielder and in Evan Frey they seem to have acquired a player much like Rich Thompson. His advanced stats are not very promising, but we like speed and that appears to be his strength. We saw him pinch run in the first game and start in center field for the second game. Stats. 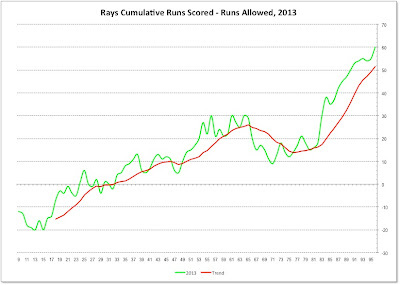 Ryan Roberts hit two home runs for the Rays last night and was optioned back to the Bulls. Hope he brings that bat with him. 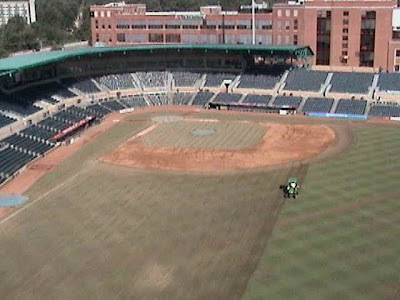 After the deluge, Bull City Summer had a chat with groundsman Scott Strickland. Wonder if after all the frog-strangling rains PETA is going to take a second look at that award they gave the DBAP? Speaking of food, the Durham Food Truck Fest coming on July 10 is one heck on an idea. May be forced to get out of my seat and take a stroll around the park.